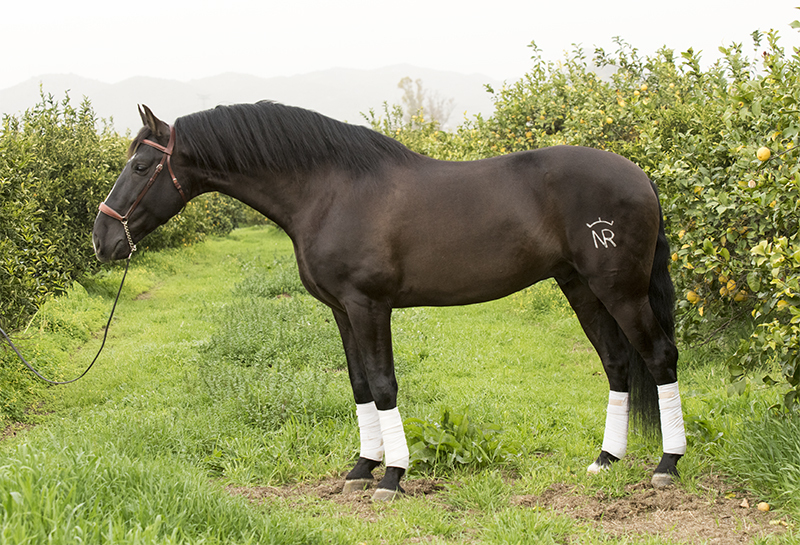 Nadador XLIX is a Baroque PRE stallion who has basic schooling with some introduction in piaffe. He has a good friendly character and very good breeding. On his fathers side he has the best of Yeguada Militar, Bohorquez and Guardiola and on his mothers side he has the best of Miura, Escalera and Yeguada Militar. He has experience hacking out in the near by countryside and is sometimes ridden by his owner who is a complete beginner. In and around the yard he is calm and well behaved.